Friday, the 24th of August, Ben Ginsberg, acting on behalf of the Romney campaign gets rules placed that would severely limit the influence of the state parties in selecting delegates, or having much say-so at all in future elections. This rule 15(and now 16) would have made it nigh on impossible for you in the grass-roots of the party to have your rightful influence on the national convention. Over the weekend, Morton Blackwell sent out a response to this, outlining the problems. This was a rather complete appraisal of the probable impact of such rules. Blackwell is a hero in my estimation, sounding an alarm that began to gather steam by Sunday, and was trumpeted by no less than Mark Levin and Sarah Palin on Monday evening. The GOP establishment never runs out of tricks to play against us, even as they frequently seem confounded by the Democrats. On Monday evening, they pushed out a story via the Houston Chronicle that proclaimed the matter resolved, and that any crisis and floor fight had been averted. Worst of all, it was false, because it ignored and omitted the matter of Rule 12, that will permit the party bosses to shove Rule changes down our throats by a 3/4 vote. That sounds okay, right? The problem is that it’s really not as great a defense as some have been led to believe. “Proponents of the “compromise” ignore the enormously destructive problem of the proposed Rule 12. Rule 12 would enable 75% of the Republican National Committee later to eliminate their “compromise” and to destroy or make drastic changes in dozens of other rules which have served our party well over the years. “In practice, Rule 12 would enable an RNC chairman to enact almost any rules change he or she desired, because an RNC chairman already has so much power and influence that he or she can almost always can get 75% or more of the RNC members to vote for or against anything. A chairman already has the enormous “power of the purse,” and should not have also the power to change party rules at will. 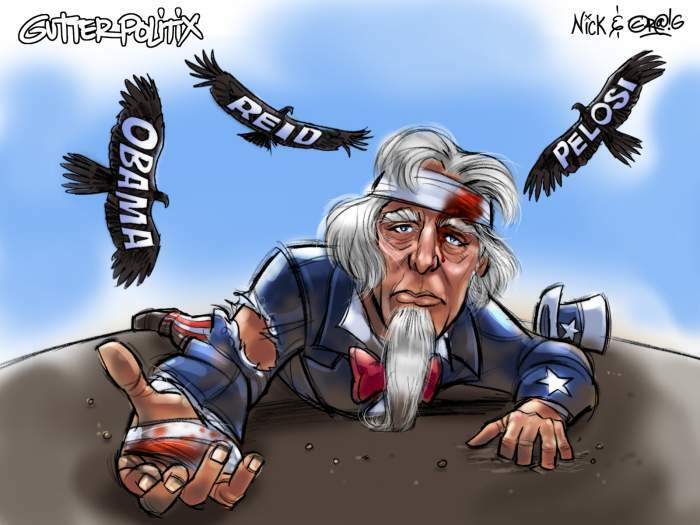 “There is already quite enough power flow from the top down in our party. Instead of approving more power grabs, we should be looking for ways for more power to flow from the bottom up. That’s how to attract more participants into our party. “The media’s picked up on this series of last-minute manipulations by D.C insiders and consultants, and I’m sure you’ve been bombarded with contacts from both sides. Complicating this matter has been the fact that many people ran with the “compromise” business without fully grasping what had been omitted from the Chronicle’s story of Monday evening. Mark Levin posted on Facebook that the problem had been resolved, but the truth is that it hasn’t. He likely read the Chronicle story or other stories derived from it, and concluded the crisis had been resolved. He is to be forgiven this error, because this whole thing is being done precisely to create confusion about the state of the fight. As those of us who followed the matter into the wee hours of the morning know, this was never the case, and as Mr. Blackwell makes plain in his latest note, the matter is far from resolved even at this hour. Ladies and gentlemen, make of it what you will, but the facts are plain: The GOP establishment is out to rule the party from the top, and despite pretending otherwise, Mitt Romney’s campaign has had a strong hand in this. Worse, the deceptive notion that Ron Paul supporters are behind this kerfuffle is designed to get you to shrug and walk away without a fight. I don’t doubt but that there are a number of Paul supporters involved, but there are many who simply wish to safeguard the future of the party, and that’s where you should come in, if you still care about the future of the party. This isn’t over. It’s not over until the rules are adopted, and I urge all conservatives to get in touch with their states’ delegations and put an end to this madness. This is YOUR PARTY! As Erick Erickson reports on RedState, this isn’t over. Time to let them hear you, conservatives! Michelle Malkin has a complete list of State Party contact numbers, as well as this list in PDF form. There are a number of great radio talk-show hosts who I’ve enjoyed immensely over the years. I first became familiar with the format listening to Larry King late at night on the way into a night-stock job at a grocery warehouse. It wasn’t so much that I liked Larry, as it was that his callers were at least somewhat entertaining. Most of a decade later, after spending much of my time as a soldier in Europe, I came at long last to Texas. When I got out of the Army, I got a job and joined the civilian workforce again. It was some time later, working in that job, in a moment of downtime, listening for news of the impending hostilities against Saddam’s forces in Kuwait, that I made a discovery that turned out to be much more important to me in the long run. Twisting the dial on that beat-up AM radio, listening for the sound of intelligible human speech, I had discovered EIB and Rush Limbaugh. This would provide a good deal of entertainment, as back in those days, Rush played parodies more frequently, and generally provided a flood of information to the pre-Internet world, delivered from a point of view I’d seldom heard anywhere before. He was unashamedly conservative. I’d never heard a show like this, and I became a “Dittohead” in short order. It was in the course of my years listening to this show that I was introduced to many amazing people, including my favorite living economist, Walter Williams, still a frequent fill-in host, and also my favorite attorney: Mark Levin. I was thrilled when I discovered that Levin had gotten his own radio show, and more thrilled yet when it went to a full three hours. If it’s fair to say that Sarah Palin unknowingly delivered the inspiration for this blog, (a fact that if she knew, she might very well regret,) it’s likewise fair to say that Mr. Levin provides its beating heart, with a passion shared for the love of our country. It’s not to say that I never disagree with Mr. Levin, but it is to declare that our differences are perhaps more superficial or trivial. What I have always enjoyed most about him is what I can hear in his voice, not in mere words, but in the tone in which he speaks: He means it. Mark Levin has some health problems, and it’s more than ironic that he should suffer from heart troubles, because you’d never know it to hear him speak. He has real passion for this fight. He makes it clear that it’s our fight. As he frequently points out, “It’s our country,” and he’s not afraid to let it rip, and he has no need to be afraid as millions in “fly-over country” love what he has to say, and we respond to the passion with which he says it. Some people are put off by his voice. I find it distinctive, and sharp. but what makes it stand out is the force of intelligence and wisdom driving it. The logic is equally clear and sharp, leaving listeners no confusion as to where he stands on an issue. Some people think he can be too short with some callers, but the truth is that his sense of which callers are too annoying to suffer suits me very well. He has more patience with some of them than I could possibly muster. 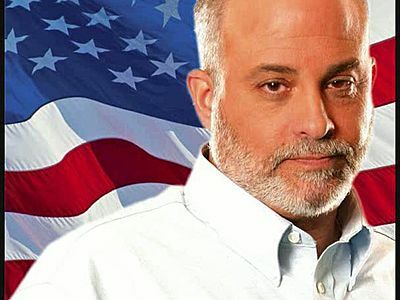 If you tune to Levin, that’s part of the fun. My daughter and I have listened to his show, making friendly bets on how long he’ll tolerate the next leftist “drone” before losing patience and dumping them. If only he knew how much entertainment that has provided to one father and daughter, he’d probably humbly deny culpability and laugh. One of the things I enjoy most about Levin is his instinct for a political story. He’s among the few who possess the insight to see what’s going on before it becomes obvious to the rest of us. Maybe that provides some of his passion too, because he’s always warning what’s coming next from some politician, and he’s always waiting expectantly for people on the Republican side to catch up. 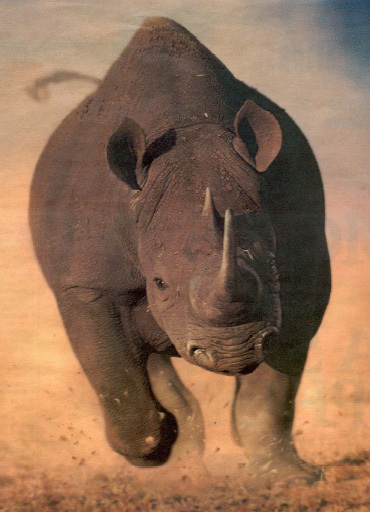 Certainly, among the RINOs in Washington, he can see a sell-out coming from a mile or a light-year away. Having worked in Reagan’s administration, I’m certain his experience in dealing with all the nutty leftists inside the DC Beltway provided him a deeper understanding of how both the leftist and RINO mind works, and what he learned is: Both are proponents of statism. If you tune in to his show these days(and you should-daily,) what you’ll hear is a man who is as passionate about this country as any of the greats in our history. He is intelligent enough to make a logical case, wise enough to see things coming in advance, discerning enough to focus on the most pressing issues, and engaged and passionate enough to make clear that this isn’t contrived. There are many talkshow hosts, but what Mark Levin delivers isn’t a show. It’s an education, and it’s a conservative sermon, but he’s not merely preaching to the choir. One co-worker walked into my office as we worked late one evening, preparing to replace some major network equipment, and he heard Levin on my radio. He stopped, listening, as Mark dealt harshly with some nefarious “Re-pubic,” and my co-worker asked: “Who’s this guy, and what’s his issue?” As we continued our work, I told him a little about Levin, his history, and his show. He nodded politely, and we worked on. It was one of those weeks. I suppose a month or so had passed, that particular project well behind us, and there was an incident that required our attention at the office. Our normal work hours are 8-5, but in our line of work, it’s seldom confined to that schedule. I arrived first, and waited for my co-worker as it was a two man job. As he pulled up in the parking lot, and shut off his car’s engine, the radio played on, and I could hear that distinctive voice I had only moments ago abandoned while exiting my own car. As he locked his car and walked toward me, he saw the grin on my face. “Yes, okay, you got me hooked. I can’t help it. He’s good. Now, did you hear what he said a minute ago about…” That provided the fodder for discussion while we worked through a technical problem. One could see how his matter-of-fact manner appeals to middle-aged men who work with computers and networks. The logic of his arguments is simply irrefutable. What’s more astonishing is how my wife reacts to him. She hates radio talk-shows, just because the format annoys her, but among all the talk-show hosts, there’s only one who will prompt her to tune in. Yes, Mark Levin. Why? Well, my wife is a sort of no-nonsense person, (and therefore amazing to all who know us that she’s still my wife after all these years,) and she appreciates how Levin leaps right in and gets to the heart of the matter. He zeroes in on the subject, and he forcefully, relentlessly pursues it. His sense of certitude combined with his convincing deluge of facts swamps the unsteady listener with a certitude of their own. After all, conservatives are reviled and demeaned in popular culture, and here is a man who says it, says it well, and makes no apologies for it. She admires that, and besides, he’s kind to animals too. I think among all the things that Mark provides to his listeners is a sense of purpose and duty about the future of the country. He’s not willing to surrender it to the latest in statist ploys, and he’s willing to do what he can to oppose them. He does so daily, and to be honest, none do it better, and few have done it so well. He’s a mobilizing force, like the General Patton of the radio, and he tells any who will listen the whole truth about what it’s going to take to save our country. Every day, he lays out the logical case underlying his views, and he presents all the evidence you’ll need to leave no reasonable doubt. On this basis, he motivates and inspires people to activism, and that’s something for which the conservative movement has long waited: A spokesman who says it and means it, and whose arguments demand that you do something about it.